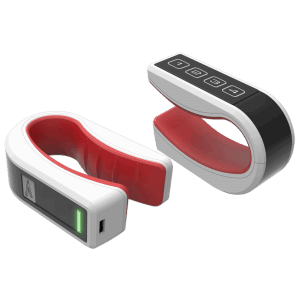 Ready to use gesture controller with Artificial Intelligence Algorithm. Download APPs from Sketch Arena and change its personality! The ultimate wearable board, programmable with Arduino IDE. GPIOs, UART and integrated battery recharge system. 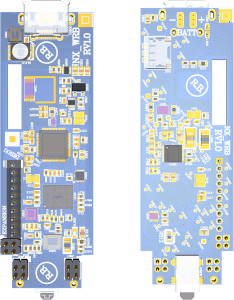 Fast microcontroller and BLE onboard! The Artificial Intelligence Algorithm allows for simple gesture recognition and fine accuracy. Our Sketch Arena is always expanding. Lots of APPs ready to use without need of programming skills. Integrated sensors and algorithm interacts to offer the cleanest data available . Smooth and accurate movement granted. Take a tour of our online shop! Measure linear and angular motion with 3 axis gyroscope and 3 axis accelerometer. An extra 3 axis magnetic sensor is included to provide more precision. High speed microcontroller unit and Arduino SDK allows for complex sketches execution. The integrated Lithium Ion battery allows for 8 hours of continuous use of the Tactigon ONE, transmitting over Bluetooth Low energy data gathered from integrated sensors. Bluetooth Low Energy grants out of the box communication. Additional third party GPS, SigFox or LoRa module provide data communication across the world, thanks to the integrated UART. Plug an USB cable and program it. The Tactigon is a fast integrated device with Arduino core for gesture control and motion tracking development. Arduino IDE Awaits! Onboard environmental sensors with temperature and barometric pressure you can use to use as an altimeter. 9DoF IMU with Accelerometer, Gyroscope and Magnetometer. Join our mailing list to receive products updates!